Play as Aiden Pearce, a brilliant hacker, whose criminal past led to a violent family tragedy. Now on the hunt for those who hurt your family, you'll be able to monitor and hack all who surround you on your search for vengeance, and the truth. The world of Watch_Dogs comes alive on PS4™ with the best graphics on any console and exclusive missions found only on PlayStation®. 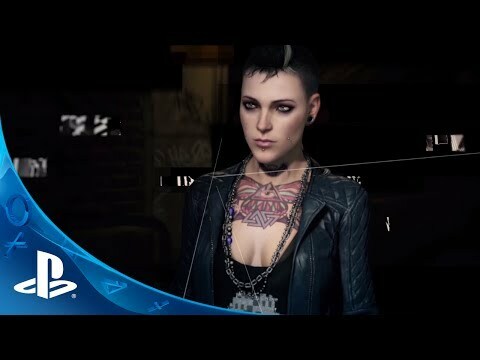 Hack everything as you make your way through Chicago’s underground as you experience Watch_Dogs in a way that only PS4 can provide. Play the complete Watch_Dogs story as you expose Chicago’s corruption in four exclusive* Watch_Dogs missions found only on PlayStation. The shadowy group Dedsec needs Aiden to set the record straight in a way that only he can—by hacking the complex ctOS system to bring their enemies to justice. Your enemies quietly sneak up behind you. A subway train screeches to a halt. Gunfire erupts in the streets. The immersive world of Watch_Dogs is about incredible audio, as well as graphics. You can hear Chicago the way it was made to sound with a PlayStation® Gold Wireless Headset. Choose your favorite way to purchase and play Watch_Dogs. Pick retail to get it on disc or choose digital without ever leaving the house.